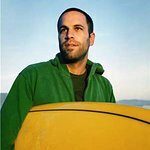 Jack Johnson and Brushfire Records have recorded their first ever Christmas album, with some of the proceeds to go to charity. This Warm December, a Brushfire Holiday Vol. 1, is a collection of reinterpreted holiday classics performed by Jack Johnson and the entire Brushfire family, including Mason Jennings, Matt Costa, Zee Avi, and G. Love and many more. 25% of the profits from the album will go towards children’s music education. Selections from the album – which is being released today, November 11 – can be found at www.ilike.com, and is available from amazon.com.